MrGunsngear broke this video on Facebook. It shows the suspect catching a HAIL of gunfire from local LEOs after the pursuit ended in a crash ironically right across from a billboard for “Truck Crash?” Don’t think this dude is going to need a lawyer though. Just sayin. 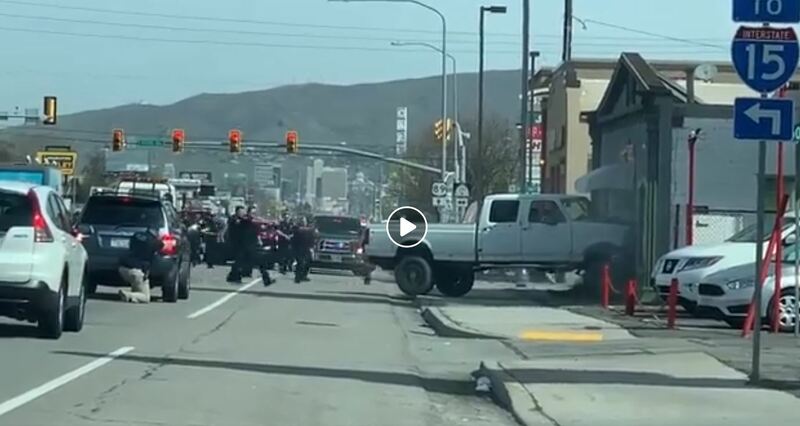 SALT LAKE CITY (ABC4 News) – Multiple agencies responded to an apparent crime spree that ended with an officer-involved shooting Monday.